Free on-roads on selected Vespa models for the next two months. Get into Australia's number 1 brand. 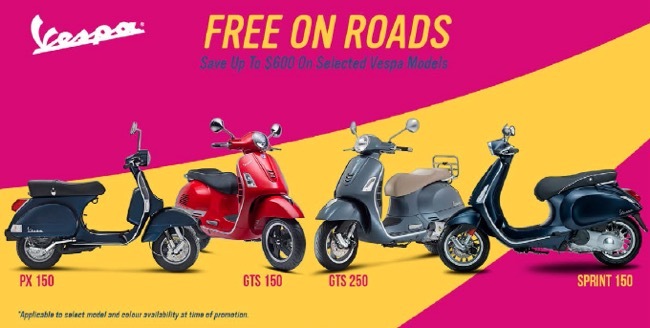 May and June is a great time to get onto a new Vespa with free onroads* on select models in the range. The promotion is applicable to any purchase of the PX 150, Sprint 150, GTS 150 and the GTS 250. Savings represent up to $600** on the 150cc models and $800** on the 250cc model. *Applies to state registration and CTP charges and does not include dealer handling charges. ** Savings will vary depending on state due to variations in registration and CTP charges in each state. For full terms and conditions, visit www.vespa.com.au for terms and condition. Official FCAI figures released this month show Iconic Italian brand, Vespa, firmed as Australia’s favourite scooter, out selling all other scooter brands in the market YTD. The result is a big endorsement of Vespa’s continued popularity and a compliment to our increasingly fashionable cosmopolitan lifestyle. 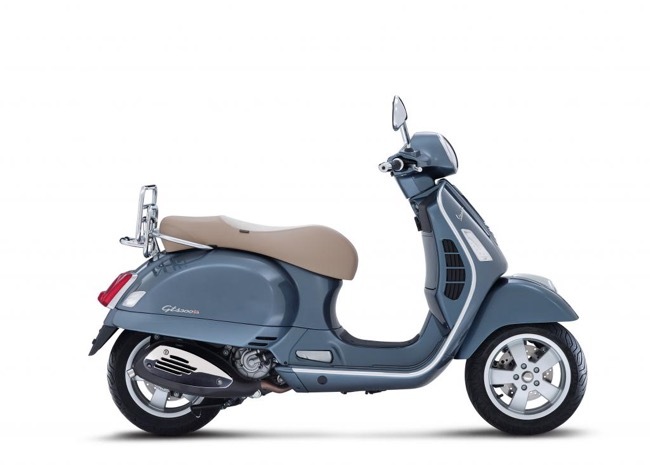 Vespa sells well in the Australian market and the significantly expanded range and major upgrades to key models sees the brand now holding the No.1 position. The introduction of the new Primavera in 50, 125 and 150 capacities provided momentum last year that has carried strong sales into 2015. Primavera, based on a totally new chassis design and utilising similar styling to the brilliant 946 is now the best selling model of the range. Sprint 150, a larger wheel variant and developed on the same small frame chassis platform, offers a sportier variant, while the introduction for the first time of a larger frame GTS in the 150 capacity fills a gap between the smaller framed Primavera and Sprint models and the large frame, high capacity GTS 250 and 300s. The introduction of ABS and Traction control across the 300 models has also contributed to keeping sales strong where other brands have fallen away. With the venerable PX model and the Ultimate in Vespa, the 946 Bellissima, offering refined variants of the brand, there is Vespa for everyone. 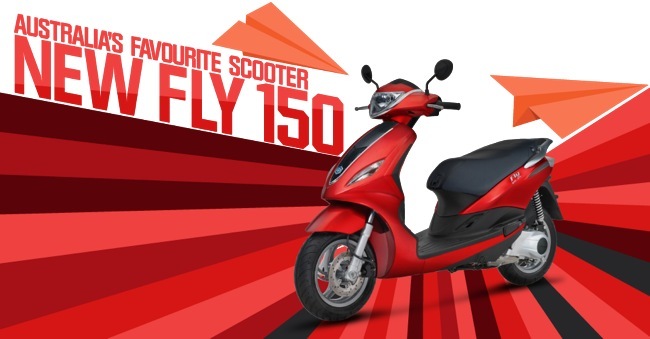 Australia's No.1 selling scooter; the brilliant Fly 150 soars to a new level. Australia's No.1 selling scooter; the brilliant FLY 150 soars to a new level of refinement with the addition of Piaggio's super efficient 3 valve motor featuring improved performance, fuel economy and industry leading service intervals to lower running costs. functional and affordable way to get around our cities." When first released FLY quickly established itself as a resilient and reliable choice for the commuter with improvements like advanced EFI introduced over this period to reduce emissions while improving starting and performance. The introduction of increased storage and the addition of an electronic anti theft immobiliser also contributed to keeping FLY the popular choice. 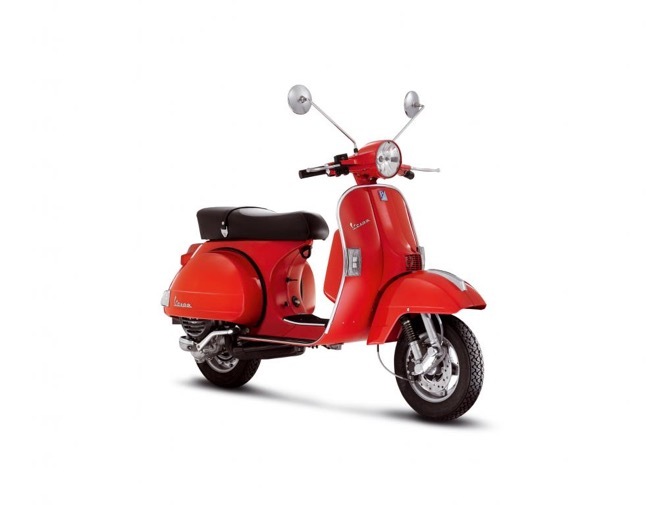 The latest improvement, extending the fitment of the Vespa proven 3 valve engine to the model sees service intervals further increase from 5,000 klm to industry leading 10,000 klm periods and fuel economy go well over the 30klm per litre mark. Improved performance and reduced vibration are also highlights of the new motor allowing it to comfortably travel at all speeds up to 100 klm per hr. Improved Economy – 30+ kms per litre! Subtle features, like fold away passenger pegs and side stand with engine safety switch are retained on the new model and top case can easily be fitted to the rear for extra storage if required. Keeping in line of offering the best value for money on the market FLY 150 price remains unchanged at $3490 + ORC. The new 3 Valve FLY 150 comes with a 2 year unlimited klm warranty and will be available in all Piaggio Vespa dealerships across the country from May.